December 29, 2016 8:41 pm. THE Magic Millions 2YO Classic is open to any thoroughbred purchased at the Magic Millions Sales throughout Australia and it’s the second richest two-year-old race in Australia, behind only the Golden Slipper. 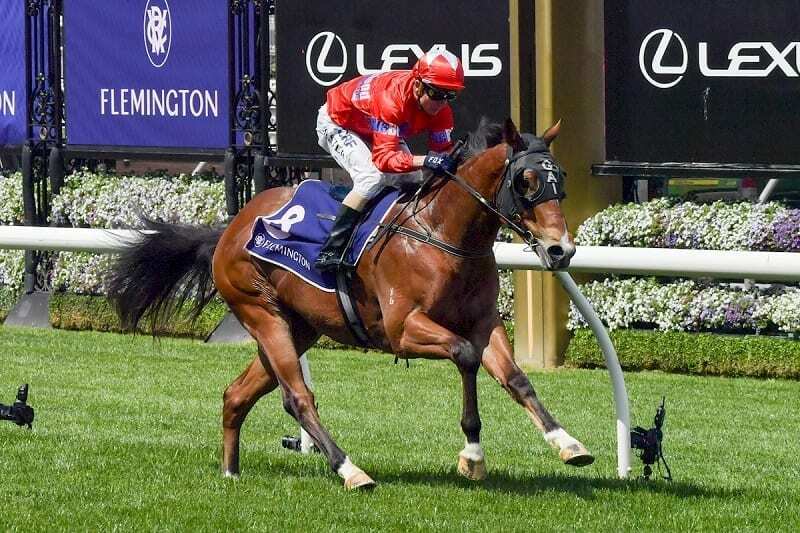 Worth $2 million, the Magic Millions 2YO Classic is run over 1200m and it is the premier race during the Magic Millions Carnival at the Gold Coast Turf Club in January. In 2016 the Magic Millions Raceday became Australia’s first $10 million meeting with seven of the nine races worth $1 million or more. The 2YO Classic is the feature race of the carnival as it highlights some of the best juveniles in Australia and past winners which includes Capitalist, Driefontein, Dance Hero and Testa Rossa, it’s a must-watch race which punters love betting on. Gai Waterhouse and Adrian Bott-trained colt Unite And Conquer is the $6.50 favourite at online bookmaker Sportsbet to win the 2019 Magic Millions 2YO Classic. No other runner is currently in single figures. It doesn’t take an expensive thoroughbred to win the 2YO Classic. Only one winner has been purchased for more than $200,000 so when you’re looking for a runner to select, it pays to stay away from the highly-priced runners. The Magic Millions 2YO is a race for a speedy two-year-old which is likely to lose its pace when it matures. Only a handful of Magic Millions 2YO winners have gone onto bigger and better things, so stick with the runners which have natural sprinting speed and are being targetted for the race. Favourites have had a good record in recent history and punters usually get it right. The big field usually makes it easier for the favoured runners and taking a banker trifecta with the favourite is a good way to play the race. Look for the trainers which have had success on the Gold Coast and with juveniles. They know how to set their runners for a specific race – like Gai Waterhouse who has a great record in the race. The team at Horse Betting HQ recommend backing Unite And Conquer at the $5.50 quote via online bookmaker BetEasy. All of the bookmakers listed below offer betting on the Magic Millions 2YO Classic which includes futures, all-in and fixed odds markets. Due to the popularity of betting on the Magic Millions Carnival, bookmakers frame markets as early as possible which is often months in advance. When searching for an early Magic Millions market, it’s common that the bookmakers will list horses by their breeding as they haven’t been officially named yet. There was plenty of buzz around Godolphin runner Exhilarates coming into a wide-open 2YO Classic and the horse in blue delivered. Under a brilliantly timed run from Kerrin McEvoy, the $600,000 purchase pounced late down the outside to run away with the Classic victory. The 2018 edition of the Magic Millions 2YO Classic was all about Sunlight and the Tony McEvoy runner didn’t disappoint. After jumping cleanly the filly trailed the leader Ef Troop throughout the entire race and when she decided to end the race, it ended. Entering the 400m mark Sunlight streaked away and recorded a comfortable and decisive victory. Many punters were turned off by the wide barrier draw, but the Toby Edmonds-trained Houtzen had electric barrier speed from barrier 16 as it held off the fast finishing Chauffeur. Houtzen was unbeaten coming into the race and it kept that streak alive by running straight to the front before coming wide and putting multiple lengths on the field. The challenge came late from Chauffeur, but Houtzen had too big of a break. Read full report. Capitalist was one of the shortest-priced winners in 2YO Classic history when it won paying $1.40. The Peter and Paul Snowden-trained colt had superior form leading into the race and that proved good enough to win by 2.5 lengths over locals Nikitas and Candika. Blake Shinn was aboard the two-year-old which would later win the 2016 Golden Slipper at Rosehill. Trainer Darryl Hansen scored his biggest training success when Le Chef won in 2015. The Exceed And Excel gelding was ridden by apprentice jockey Luke Tarrant, his biggest career success, and it paid $14.70 for the win. The Sunshine Coast-based gelding was able to defeat short-favourite Wicked Intent and Pepperano which finished second at odds of $11.90 to place. Le Chef didn’t continue to have a stellar career, but the $2 million purse made up for that. Unencumbered will long remain as one of the most popular 2YO Classic winners as it put the now recently-passed jockey Nathan Berry on the map. The Bjorn Baker-trained colt was the $3.20 favourite and it held off the talented Oakleigh Girl. The win secured Berry’s position as one of Australia’s better up-and-coming riders and brother Tommy was on course to congratulate him. Real Surreal was a large-framed filly which used a superior turn-of-foot to down Sweet Idea on the line. The Kelso Wood-trained daughter of Real Saga was best known on rain-affected tracks, but it proved too strong on a good surface to win at odds of $5.50. It was another Magic Millions 2YO Classic winner which didn’t continue on with it, but there were a couple of quality thoroughbreds in behind it. Gai Waterhouse scored yet another 2YO major when Driefontein won in 2012. The Fastnet Rock filly finished second in the race, but it was determined by stewards that stablemate No Looking Back caused interference. Either way, Waterhouse was happy with the result, as were punters which took the $3.60 on offer for Driefontein. It is often remembered for the protest, but the filly was a classy thoroughbred which continued to win races at a high level.